Lyman E-Zee Case Gauge | BUDK.com - Knives & Swords At The Lowest Prices! 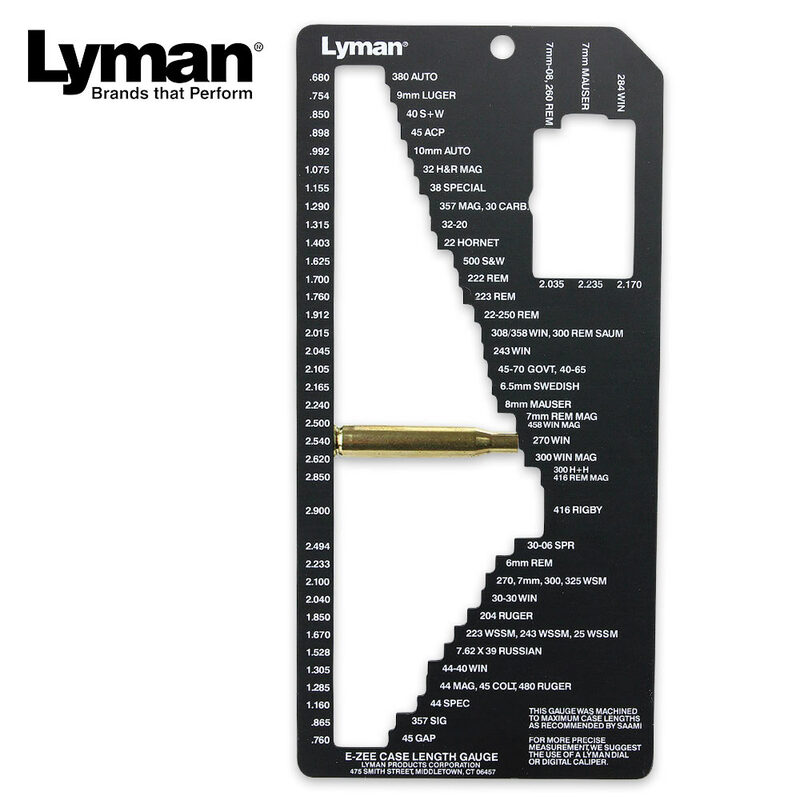 The Lyman E-Zee Case Gauge allows you to sort cases quickly and easily! 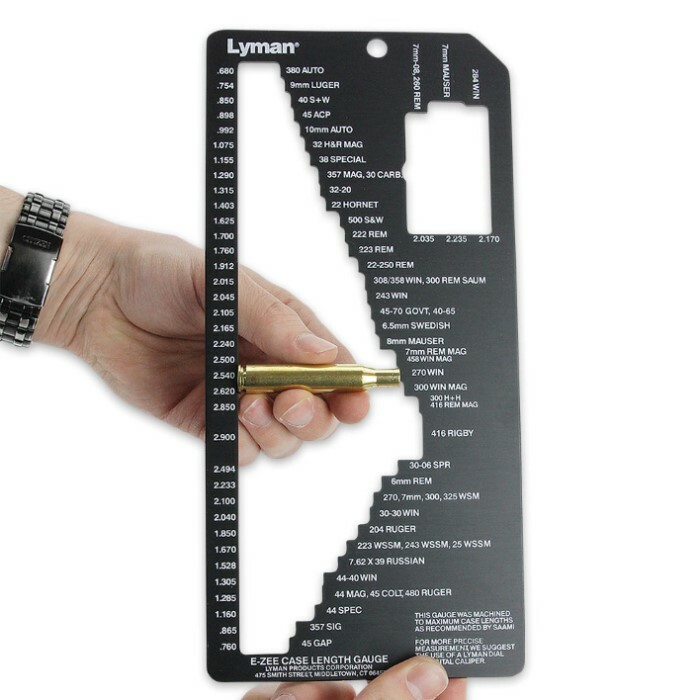 The gauge measures the case length of over 70 popular rifle and pistol cases. Many cartridges are included on the gauge like the Winchester Short Mags, 204 Ruger, 500 S&W and others. Precisely made, this rugged metal gauge makes sorting cases quick, easy and accurate.